A small fee of $5 per car will give you access to the hundreds of miles of hiking trails within the Sabino Canyon Recreation Area. 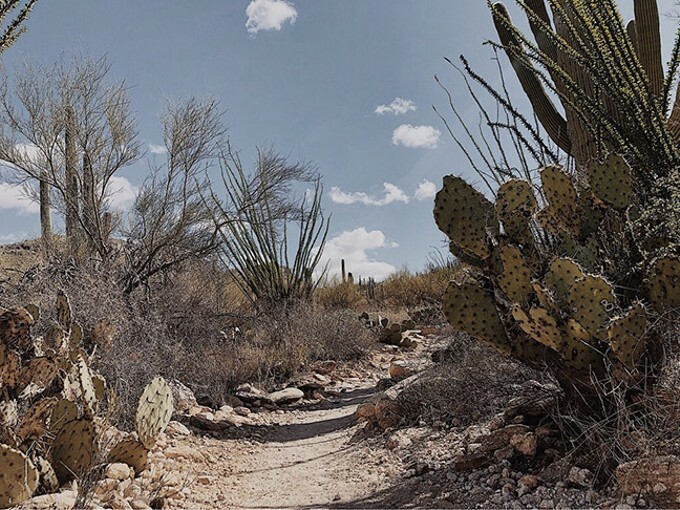 There are, of course, the famous Sabino Canyon and Seven Falls hikes as well as connector hikes to other longer trails within the area. Sabino Canyon Recreation Area is a beautiful spot for hiking, birding, having a picnic or getting your feet wet as the river flows after the summer desert rains.